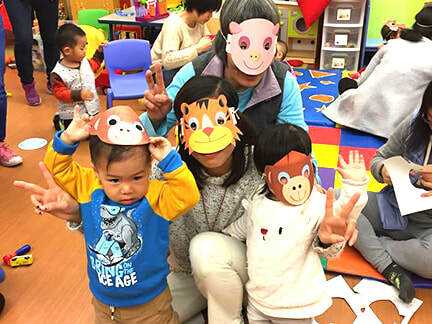 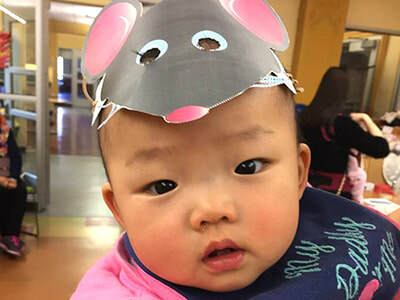 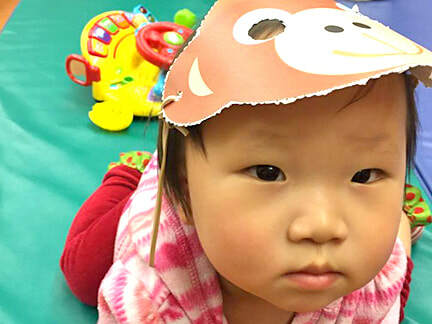 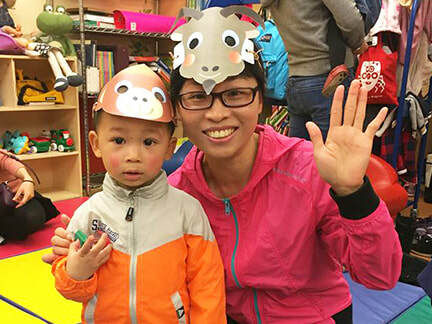 ​Chinese Zodiac Animal Masks were worn by all at the Lunar New Year celebration held at our Chinatown Family Support Center. 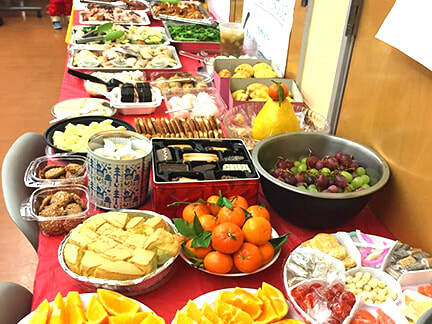 The Parent Leadership Group took the lead in planning this function, with support from staff and the Parents Club. Major funding came from First 5 San Francisco to support parent empowerment. 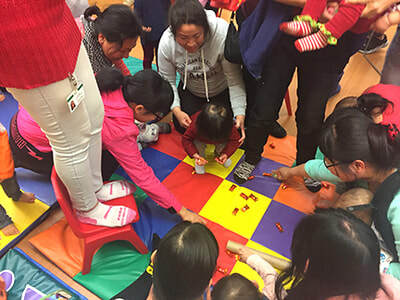 Around 30 families were at this February 13 gathering. 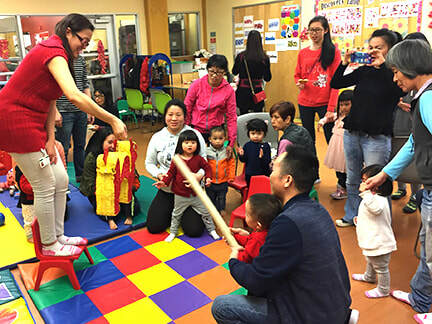 Hitting the red dragon pinata to grab pieces of the Chinese Lucky Candy was definitely the highlight for the kids. 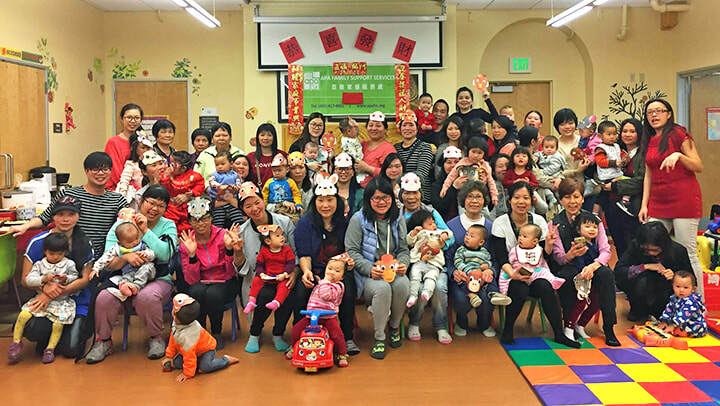 Other APA's Visitacion Valley Strong Families (VVSF) and Excelsior family centers also put on celebrations for their clients.